The name Brent Smith might not ring a bell in the average ear, but in the music industry he's known as a songwriting machine. 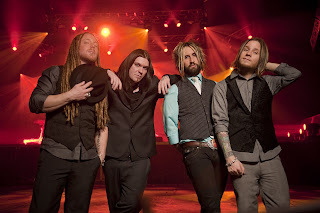 Smith, 32, founded the rock band Shinedown after moving from Knoxville, Tenn., to Jacksonville, Fla., in 2001. Three albums produced 12 radio singles, all of which were Top 5 hits, and the last five have all reached No. 1. 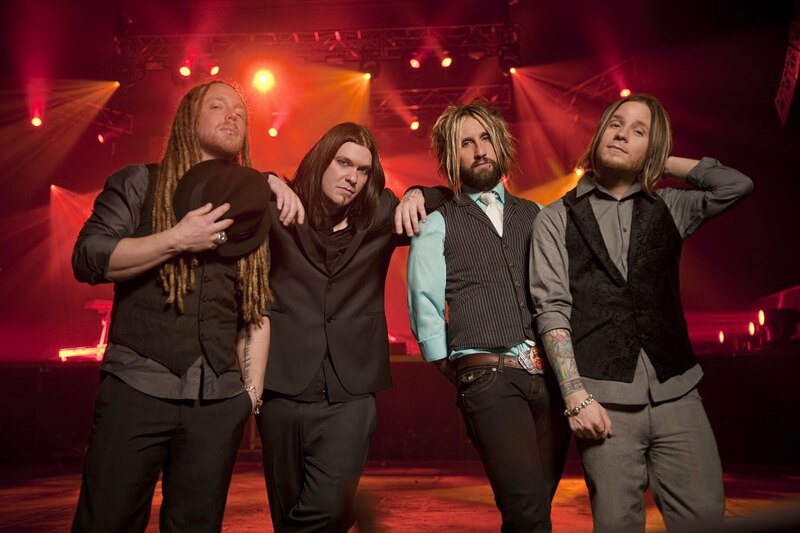 Shinedown, along with Puddle of Mudd, Chevelle, Sevendust, and 10 Years, is performing on the Carnival of Madness tour this summer, which will be in the Houston area Saturday, Aug. 21, at the Cynthia Woods Mitchell Pavilion. Despite several big summer tours struggling with ticket sales and some being canceled, this new event has been a big hit across the country. Advance tickets remain on sale for $55 and $42.50 via Ticketmaster locations. Gates open at 4 p.m.
88 Miles West spoke with Brent Smith as the Carnival of Madness rolled toward Texas. Has the tour been good to you? We started talking about this in January when we were in Europe. To have it come to life, it's been an overwhelming experience. City by city, the crowds have been 10,000 to 16,000 people per night. Despite the economy, God bless everyone for coming out and keeping their fist in the air for music. Your last album, The Sound of Madness, was released in 2008, yet you just released a fifth single off the album, "The Crow and the Butterfly.' What was the secret formula? Going back two years when it was released, I wanted the world to remember this record. When we were writing this one, there was a lot of stuff going on in our lives. It was an emotional rollercoaster, and I think people identify with the songs because of that and it relates to their lives. They see themselves in these songs. I took down all the walls and I just said what was going on and let go. I let go of things that I was scared to let go of in the past. We said we were going to tour this album for three years and we are booked through December. It's very overwhelming. With this success, have you started over and thought about new material? We finish Carnival of Madness in August then will play some radio festivals in September into October, but we have decided to do an acoustic/storyteller's tour starting Nov. 5 through Dec. 9. Our fans have been asking us to do this for six years, so we are going to do a full-band acoustic tour. The audience will be able to ask questions about songs, about us. It will be very interactive in an intimate setting. It's going to be in small venues, too. I think the biggest place we will play is 2,600 seats. After that, we will start the fourth record in February. A new song, 'Diamond Eyes (Boom-Lay Boom-Lay Boom),' landed on The Expendables soundtrack, in addition to a song on the Alice in Wonderland CD. Will those be carried over to the new record? No, those are just specific projects for those two soundtracks. I was also asked to do a song with Apocalyptica called "Not Strong Enough" and I was honored they would even consider me. The debut album, Leave a Whisper, has a track called "Simple Man,' which is a Lynyrd Skynyrd song. Any special reason why you chose that particular song? Our original guitar player, Jason Todd, was married to Melody Van Zant, who was Ronnie Van Zant's only daughter. Covering the song really happened on accident. At one point in time, I had no money down there in Florida and Ronnie's widow, Julie, housed me for nine months, rent free, because I had no place to go. When we were getting ready to tour for the first time, we were on the road with 3 Doors Down. While in Boston, during a radio interview, I sang "Simple Man.' When we came back through Boston, we found out that the radio station recorded it and put it on their Web site and it was downloaded like 500,000 times. The label thought there was something to it, so I cut it in two takes and they put it on a re-release of the album and the rest is history. "Second Chance' is one of your biggest hits. Is it true that you weren't very fond of that song? That song is one of those things where if you wrote down the lyrics, it's not very long, but that's the beauty of the song now that I look back at it. There was a part of me that was a little fearful of that song because I didn't want to offend my parents. Oddly enough, my mom's favorite song on that album is "Second Chance' because she got where I was coming from with the lyrics. Any one moment that you look back on and think, Shinedown has arrived? Absolutely not, because none of us in the band believe in our own hype. We are always trying to outdo what we have already done. We have been very honest about what we have gone through as a band and haven't sugarcoated anything. You can't get comfortable. If you climb a mountain, that's great, go climb a bigger one. We stay true to the fact that we have just one boss - everyone in the audience. You always have to keep them guessing and entertained. I live to see people smile. I really do. It is my mission to make someone crack up everyday. Our show is really, really intense. It's supposed to be an experience. I want the audience to be more amazed as the years go on. I will tell you this. One of the greatest days of my life is when I found out I was going to be a dad. There is a song on the newest album, 'If You Only Knew,' that's really about the day I found out I was going to be a father. My son gave me that song, among a few others, and I am sure he will give me a few more. What separates Shinedown from other artists? We are not on the bandwagon. And what I mean by that is we don't have an agenda when we are doing records. When we were writing "The Sound of Madness,' we put a clause in our contract that forbid any time device or clock within 50 feet of us. We didn't want to be on anyone's agenda. Everyone supports us at Atlantic Records and our management company. They have no problems with the wait. In their gut, they know they are going to get something spectacular.